1/F, Aoba Roppongi Building, 3-16-33, Roppongi, Minato-ku, Tokyo, 106-0032, Japan. With a name that could be straight out of a Harry Potter movie, Hobgoblin is one of the most authentic British Pubs in Tokyo. For the drinks, we’ve worked out a special deal for InterNations members to have access to selected beers for 900 yen the pint and cocktails for 700 yen all night long. Hobgoblins will also be featuring a home-made delicatessen, a long time favorite with its customers: Sangria! And that will be available for only 600 yen! They also have a wide selection of international and local beers, cocktails, spirits and cider. 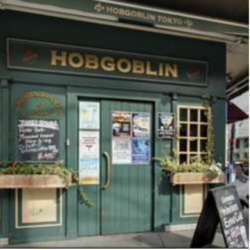 As for the food, Hobgoblin has a lot of different options. Our vegetarian and vegan friends will also have their choice of food available. For fish and chips lovers, it is considered by many one of the best places in Tokyo and they claim to have the biggest serving in terms of portion size. For our creative members you can make your own freshly baked pizza; 16 delicious ingredients will be at your disposal. The venue is completely smoking free. 5~8 minutes’ walk from Roppongi, Azabujuban & Roppongi Itchome station. Walk towards Tokyo Tower, turn right when you hit Tokyo tower street (7/11 convenience store on the right). Keep going past the Russian embassy and Audi Roppongi.